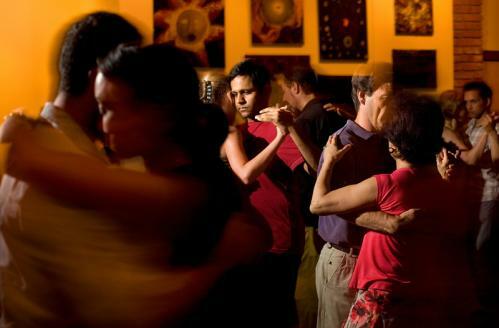 I remember going out to my first milonga (tango event) a few years back. After only two dances, I felt really uneasy because both the men I had danced with shared very peculiar looks on their faces once the dance was over. Was I that bad, I thought? When a third gentleman asked me to dance, I reluctantly went out on the floor with him, afraid that I might get the same reaction. This man obviously knew what he was doing. He was confident, but gentle in his embrace. I felt so comfortable with him that it only took a few seconds for my shoulders and arms to relax in his. I just listened to the music and my partner, forgetting about the previous dances. I was following with more ease, really enjoying the moment. And once the song came to an end, I was sure that my partner had enjoyed it too. With a connection like that, how could he not have? But as I thanked him for the dance, what I thought had started out as a smile on his face very quickly turned into that awful expression I was dreading to see again- the same one the other two men prior to him had had. I began walking away with my head sinking into my chest. Maybe it wasn’t my dancing. ‘Did I have something in my teeth?’ I thought. Did I need deodorant? 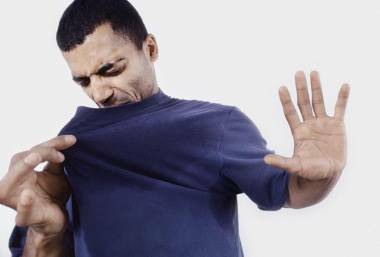 I subtly leaned my nose towards my shoulder, secretly trying to get a whiff of my armpit. But all I could smell was my favorite perfume still lingering on my skin. So what was it? Before I could think about it much longer, the man I had just danced with grabbed my arm and asked me where I was going. “You walked off the dance floor before the songs were finished,” he said. “But the song IS finished,” I responded as I pointed up towards the new music vibrating through the speakers. “In tango, there are at least three songs that are played as a group. And it is a rule that you must dance all of them in that set, or tanda, with the same partner,” he said in frustration. 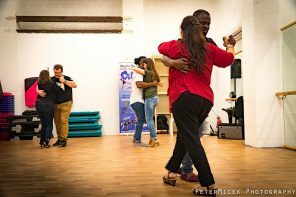 “If you are going to dance tango, you should know this. It is basic TANGO ETIQUETTE!” he announced emphatically. “Tango etiquette?” I managed to say after a silent pause, “Really? Well, what about people etiquette? Maybe you should learn that first,” and then I finally did walk away. I have wanted to write an article on Dance Etiquette for some time. But I was struggling with the realization that etiquette in dance is not separate from etiquette in life. They are very much connected. And when we witness or experience someone lacking in some areas of dance etiquette, more often than not, these social skills are also lacking in their daily lives. And that thought suddenly turned this whole topic into something much bigger than I first imagined. ‘How was I to cover all that in a short article?’ I thought. Moreover, would the people who need help in the etiquette department the most really even read this? Or even if they did, would they even recognize themselves as the ones needing to make improvements? But the more I got to thinking about it, the more I realized that we ALL could use help in the etiquette department– some more than others, yes. But it’s not something you learn once and then master. The learning of it continues because we are always growing as people and we are all so unique. No one is perfect all the time. I know I am definitely not. So who am I to give you a set of rules on how to behave, when, frankly, I’m sure I myself have strayed in some way or another from them. I decided, therefore, to make this a list of reminders, instead, for all of us to strive towards, to help do our part in maintaining the healthiest dance communities that we can. 1. First and foremost is recognizing that WE ARE A COMMUNITY. And as part of that community, we have a certain responsibility to consider how our actions, words, and behaviour affect not only the people whom we come into contact with on the dance floor, but also the effect it has on the overall atmosphere, energy and growth of the scene. If we want to continue to have places to go to dance, and share this passion for dance in a positive way, we need to not only think of ourselves and what we are going to wear that night, or how flashy we might want to be, or what cool new moves we are going to throw out on the dance floor, but how we make others FEEL because of those choices. How does our presence, and how do our actions, affect and contribute to the atmosphere as a whole? We often talk about how a person’s look might say a lot about them. You dress to feel good and to make a statement about yourself. But what if you were to consider that what you put on also speaks for what you think about others, how much you’ve considered them? For example, as a lead, you might have a favorite collared shirt or tank top you like to wear. 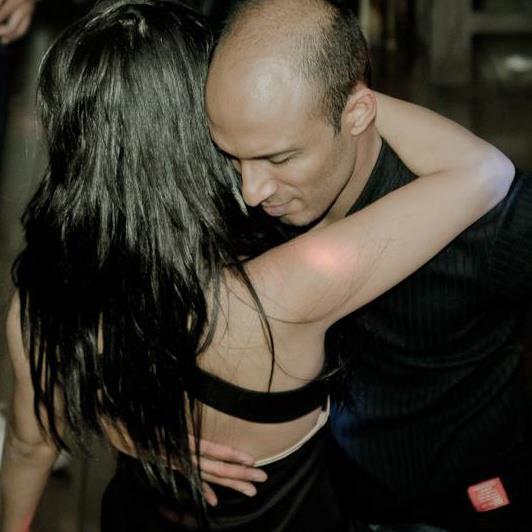 But some collars can get in the way of those close dances like kizomba or tango or some bachata dances. Collars on men can make a follow struggle to figure out where to position her face without having her eye poked out (Trust me, it happens, I know!). And tank tops can make it hard for a follow to have a comfortable grip or connection with the lead’s shoulder or shoulder blade, especially if his shoulders and arms get quite sweaty and sticky. As a follow, I sometimes choose not to wear some of my favorite hair accessories, belts, shirts or bracelets because their texture, length, or dangling bits can get caught or in the way of some leads’ movements. They can also be uncomfortable in close dances for both me and my partner. Some of my favorite leads are those who bring extra shirts. I think that whether you are male or female, extra shirts are the easiest way to freshen up. They not only keep you clean and dry, they also make dancing with you even that much more fun. I have tried it myself. And I was pleasantly surprised at how good it felt to change into a new top in the middle of the night. It just gave me an extra boost of energy and self-assurance after feeling weighed down and a little self-conscious about the first shirt that was sticking (and possibly stinking?) to me earlier. Speaking of stink, carry a little deodorant, a sample of your favorite perfume, some gum, or a pack of mints with you in your purse or shoe bag so that you can use them as needed during the night. This will not only make you smell good to others while dancing, but it can also provide you with more confidence when simply socializing and conversing on and off the dance floor. Plus, a pleasing scent can leave a lasting impression. But unfortunately, so can a scent that is repelling. Connect- not just with the music and your partner during a dance, but with people in general, whether you share a dance with them or not. How? Someone once pointed out to me that one of the best sounding words we can hear is our names. I know it makes me feel good when I am at an event and a fellow dancer calls me by my name. It makes me feel acknowledged among all the other people around us. It’s hard, I know, to remember names, especially because we meet so many people while dancing, but often hardly share a few words before we switch to a new partner. But make an effort to share a few more words. Getting to know more about people’s ‘outside-of-dance lives’ helps us to make more meaningful connections. And then we can attach a name and a personality to a face. It also lets people know they matter, that they are valued in the community. And people want to feel like they belong and are appreciated, both in and outside the dance world. Being respectful in the way you ask someone to dance is important, but we also have to be respectful of their response. If they decline a dance, yes, it might be hurtful or we may find it rude. But, it is that person’s choice to do so, and sending negative signals their way because you are feeling rejected does not help the situation. 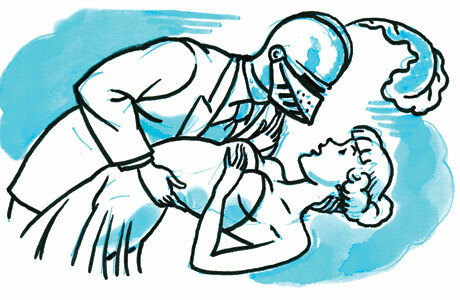 Remember, it is your choice after being declined if you want to ask that same person to dance again. If you keep asking, and they keep refusing, why not spend time on the many others out there to choose from? We see this in personal relationships as well- people chasing after those that are not showing any interest or giving them the time of day. Respect yourself enough to realize that your time is valuable, that YOU are valuable. And put that time into someone who sees that value. And if the person who originally said No decides to change their mind, let them come and ask you. As much as it can be upsetting when someone says no to a dance, there could be so many reasons why. And in all honesty, I would much rather that a person say no to a dance with me, because they don’t want to dance with me, than have them say yes and then watch them spend that three or four minutes looking around bored and just anxious for the dance to end. That just makes for an unenjoyable dance for both of us. If you are the one saying no, hopefully, you can at least give a valid reason, or simply show consideration of the courage it might have taken for someone to ask. There is no reason to make the person doing the asking feel unappreciated. Besides, you never know where you might run into this person off the dance floor. They might be someone you end up working with, someone who might help you in a difficult situation, or someone who you might surprisingly think is pretty cool after all, if you give them a chance. The space you are in, the number of people on the dance floor, and yours and your partner’s personal space can be a complex part of dance that need not be forgotten. 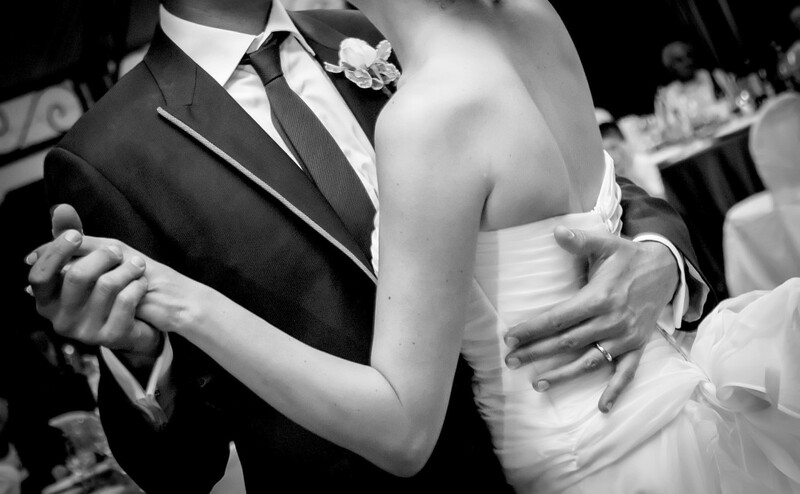 How close or far your partner wishes to be in a dance can be determined by their body language. Or, if you are really not sure, ask. Also, you and your partner might be having fun and making full use of the space in which you are moving. But remember there are other people around you. Leaders need to ensure that their followers are safe and are not being thrown into the couples next to them. And followers can help by putting a little more pressure on the lead’s back or shoulder to signal that a couple near them is getting too close. Be sure to keep within the designated space that you have created during your dance so that you are not causing any unnecessary collisions. Dancing is so much more fun when you don’t have to worry about being elbowed, sliced by a heel or how many band aids you might end up wearing by the end of the night. We talk a lot about listening to the music when we learn to dance- counting the beats and being in time with the rhythm. But listening to your partner is equally as important. Sure, you may have learned a new, fancy move in class the other day, or an extra bit of styling that you want to pull out in your next dance. But gage what level the person in front of you is at. If they are already showing signs of having difficulty keeping up with some basic steps, there’s no use in bringing in your complex moves to throw them off even more. If you yourself are not comfortable with basics, don’t ‘messy’ up the dance by jumping ahead and adding layers you are not yet ready for. Not only will it make for a very awkward dance for your partner, but it will look and feel clumsy for both of you and anyone watching. What impresses me are advanced dancers who do their best to enjoy every dance they have. They help to make their partner shine no matter what level they are at. And in the end, both people have a great time. I also love dancing with beginner dancers who might not know any intricate turn patterns but who recognize the value in simply having a clear and connected basic. They often turn out to be my favorite dances. In any relationship- whether a friendship, a romantic relationship or an introduction to someone new on the dance floor- I believe that safety is of the utmost importance. When a person feels safe to express, be themselves, not be afraid of getting hurt or judged, they are so much more at ease. With this comes freedom. In dance, this translates to the freedom of movement and trust, which is so important. It can turn a mediocre dance into one that is dynamic and full of expression and emotion. The tanguero I described in the story at the beginning of this article may have been a great dancer, and might even have been a decent guy. But somewhere along the line, he became so concerned with what HE would look like being rejected, that he didn’t consider me at all. It was his reaction to the situation that made me feel very unsafe and unprotected in his presence. He could have just explained the ‘rules’ to me in a more polite manner, and I would have been more appreciative of his advice. His grabbing my arm didn’t teach me anything about tango. Instead, it made me just want to stay well away from him in order to feel safe and respected. 9. APOLOGIZE– It’s a strength, not a weakness. Some of the best lessons in dance etiquette have come to me from people and situations that did not start out positively, but took a turn because of someone’s courage to apologize. A few years back, a lead was pointing out my mistakes during a social dance, and he kept pushing his weight on me, claiming it was the correct way to keep a strong connection. It was painful, frustrating and made me so upset that I vowed, in my mind, never to dance with or talk to him again. Thank goodness one of us was mature about the situation, and it turned out it wasn’t me. After some time, this guy began learning more about the dance, and he realized that not everything he was telling me was completely correct. But rather than being as stubborn and proud as I was, he, after a few months, came up to me to apologize for the way he had treated me before. That took guts. It wasn’t a direct apology, but the next time we danced, he showed so much consideration towards me that I knew instantly that he wanted to try to make amends for what had happened before. I might have been a little thrown by it at first, but eventually, I let my guard down and realized that I needed to give him another chance too. I was really appreciative of the effort he made to reconnect. And his example has allowed me to see that apologizing, even after the fact, can make a huge difference- in circumstances in dance, but also simply in everyday life. I have since then been in situations where I also apologized to someone, for possibly being too abrupt with them, or giving them advice about dance when they didn’t ask for it, or simply for declining a dance with them without giving them a valid reason. And it’s been amazing to see all the understanding responses I received for my having reached out to those people. They also have turned out to be some of my favorite people to dance with. It’s easy to point fingers at people on the dance floor who are rude, who don’t treat us the way we want to be treated, who are not the best at taking care of their hygiene, or even those who blatantly go around harassing others. But in the end, we need to realize that we cannot control someone else’s behaviour- in dance or in life in general. No matter how much we complain or voice our opinions or write articles on this topic, we cannot expect people to change just because we might think their behaviour is inappropriate. What we CAN control, however, is the way WE behave and the choices we make. And if we prove to be good examples, hopefully, others won’t be able to help but to follow in our footsteps. No matter who you are in the dance scene, model what it is you want to see in others. Dance teachers- if you encourage your students in class, demonstrate that you genuinely believe in them by asking them to dance at a social event. 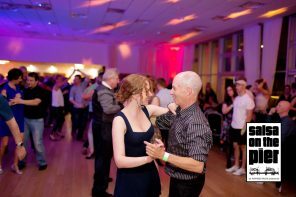 Seasoned social dancers- welcome new dancers in to the scene by sharing helpful tips, introducing them to friends, and including these newcomers into conversations and possible social outings. If you are an event organizer, don’t spend time putting other events and organizers down. Criticizing your ‘competition’ in front of the dancers in the scene only makes you look unprofessional and immature. If you represent everything you want to be, people will gravitate towards you and your events naturally, without you having to remind them of any faults in others. And finally, take what you learn in life about treating people with respect and consideration into your dancing world. But also recognize that dance is an avenue through which we can learn to be more sensitive, compassionate, communicative, and to have deeper connections with those around us. It can help us hone our social skills even more and teach us how to be better people ourselves. And by taking these lessons learned in dance into our daily lives, dance can help to make both our lives on and off the dance floor more meaningful. Speaking as a lead I still find many women/followers intimidating and I still can’t bring myself to ask them to dance. Especially the accomplished dancers. I can only hope that I keep pace with all your suggestions. Thank you Mel for taking the time to read this and for your thoughtful comment. It made my day. Like I say to anyone new who feels a little intimidated in the dance scene (including myself): Each person who you see as an “accomplished” dancer was once in your shoes. They once were just beginning, and once were just learning, and were fumbling through moves themselves. The difference between them and you is that they have had years to polish all that up, so you are seeing the ‘end’ product. Use that vision to help you with your own vision of what you want to become in your dancing and take each step with that goal in mind. And don’t give up. Find people to dance with of all levels who encourage and support your learning. And those who are not as kind to you because you are beginning will regret it once they see how amazing you will be if you stick with it! 🙂 And most of all, don’t forget where you started once you become one of the “accomplished” dancers, so that you too can help others in the scene. I still remember everyone who helped me despite my lack of knowledge and skills at the time. And it reminds me to pay that forward. 🙂 But most importantly, remember WHY you are doing it- it should be fun! Awesome article. BOOKMARKED & SAVED so I can share with others. Thank you so much for writing & sharing it with us. If every new OR experienced dancer read this article, life on the dance floor AND life in general would probably be so much better. This article should be required reading for all who want to social dance and one of their first and most important lessons. There’s MORE to learning to dance THAN just learning the moves. I’m glad that you pointed out some of those OTHER IMPORTANT lessons every dancer needs to learn or be aware of, but that are not necessarily taught or discussed in the dance classes. 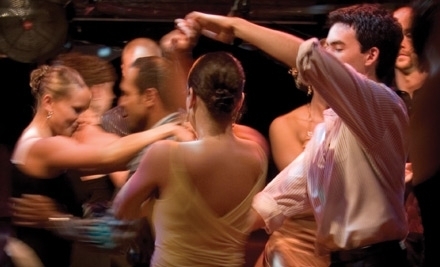 It may sound like a cliche but becoming a good social dancer is also about becoming a better person than the one you were when you started; such as becoming someone who’s more patient, caring, aware, & sensitive to the thoughts, feelings, & needs of those people around you, BOTH on & off the dance floor. Suffice to say that learning to dance can teach us MANY lessons that can be applied in many areas of our lives off the dance floor. Billie B.
Hi Billie B. – That’s a cool name! Thanks for taking the time to comment on my article. That means a lot to me. I’m glad you enjoyed the read. Feel free to pass it on to others and at any time, any feedback, even additional thoughts that might feel should be added, are more than welcome. Keep dancing and learning about life from dance.